To celebrate the National Day 2016! 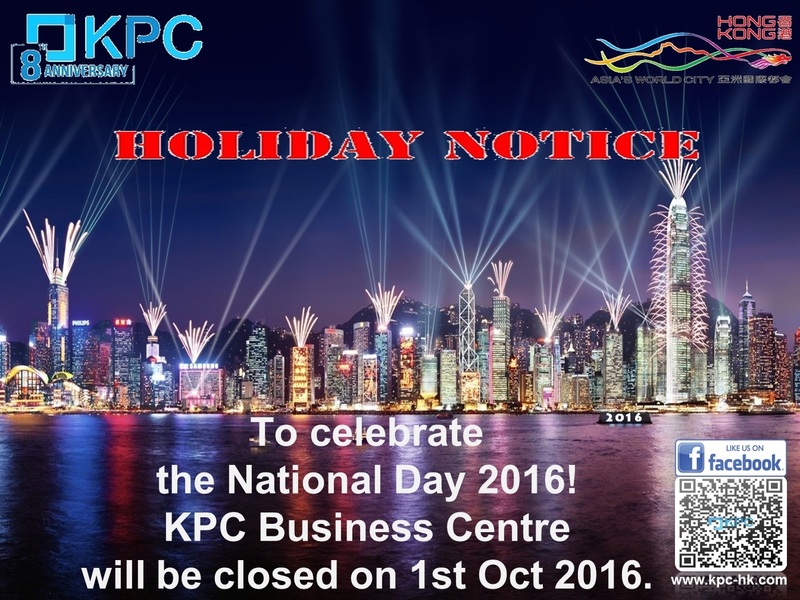 KPC Business Centre will be closed on 1st Oct 2016 (Sat). 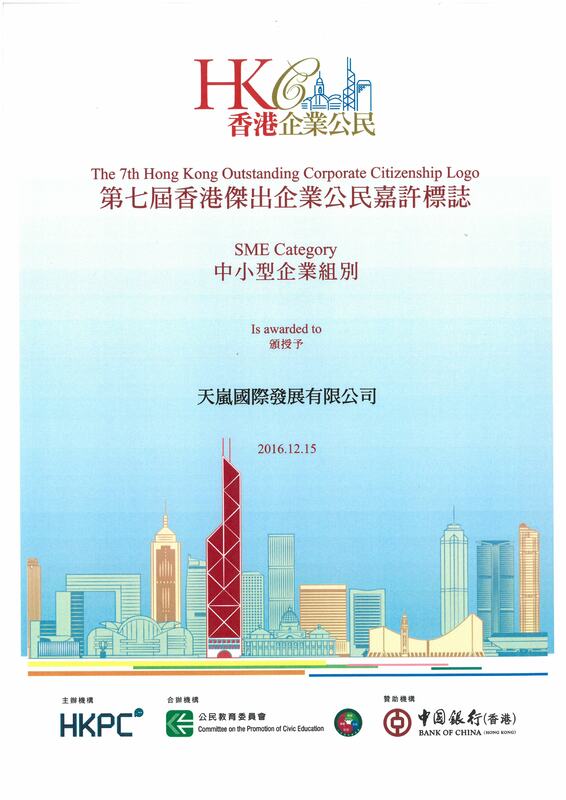 Celebrating 10th years Anniversary with KPC Business Centre, get a gift TODAY! 慶祝尖沙咀商務中心成立十周年, 免費送您限量版精品! Previous story To celebrate the National Day 2016! 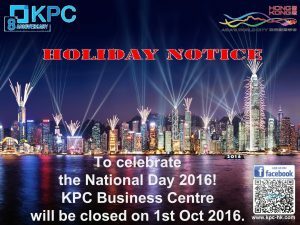 KPC Business Centre will be closed on 1st Oct 2016 (Sat).